3D wire bending with Arduino! Besides, perhaps a longer battery life, what would make your smartphone experience better? If you said a more versatile interaction method than poking one side with your thumb, researchers in Germany may have just the thing. 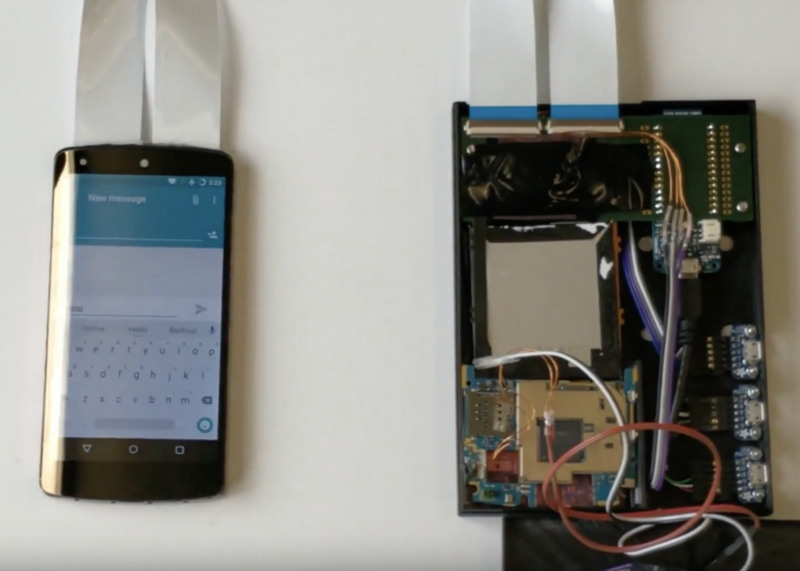 InfiniTouch morphs two LG Nexus 5 phones into one, with their touchscreens stacked back-to-back. This allows for not only thumb interaction, but also program control with the four fingers that normally only grip the device. 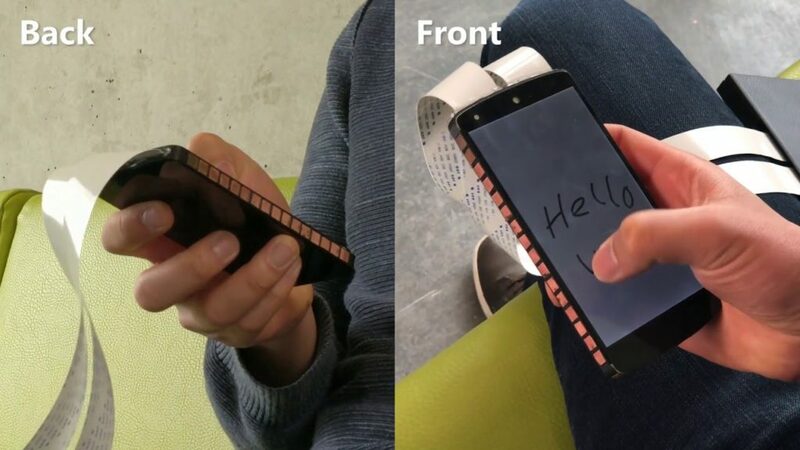 It can even tell what finger your using via a convolutional neural network. In order to save space, most of the electronics are housed in a separate hardware container, including the phone boards as well as an Arduino MKR1000. More info is available in the project’s research paper, and a short demo can be seen in the video below.